Welcome to the award-winning Wall Street Suites, locally owned and operated in downtown Bend. 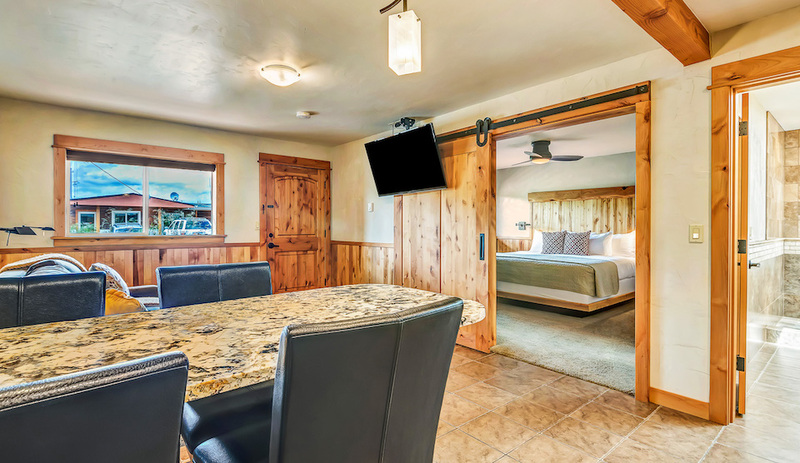 Choose from 17 suites with spacious living areas, a private luxurious king bedroom, fully equipped kitchen and custom woodworking throughout. The eclectic and relaxed atmosphere combines natural stone showers and flooring with custom wood with hand-rubbed European hard-wax oil finishes and beautiful slabs of granite to create a space of peace and serenity. Our friendly staff delivers full service to make sure each guest feels relaxed and experiences the excellence we strive for. 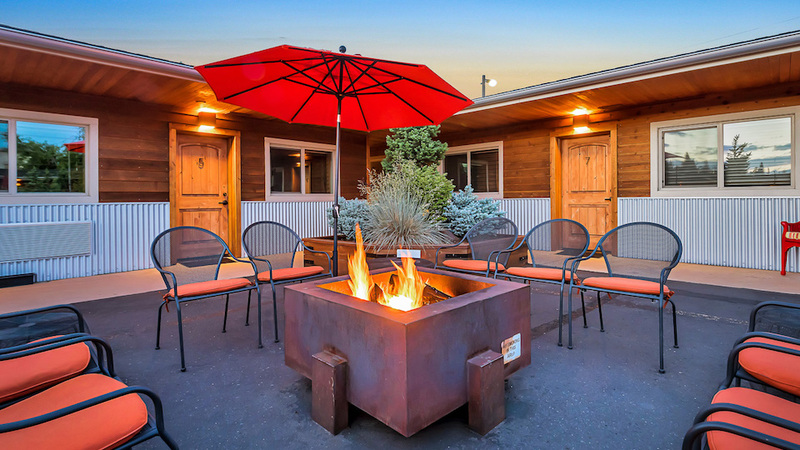 Whether sitting by the outdoor fire pit or riding around town on our signature bicycles, you can enjoy a variety of outdoor amenities. We welcome dogs in our dog-friendly suites and have an onsite dog park. Non-dog rooms are also available. Please accept this personal invitation to join us at the Wall Street Suites, the jewel of downtown lodging.